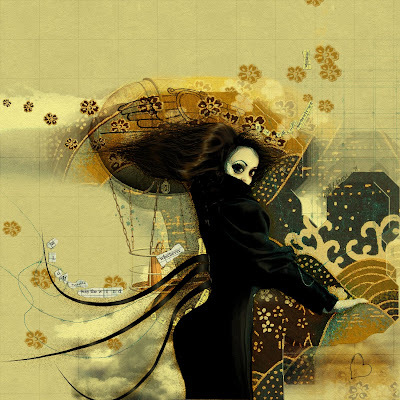 I Googled The All-American Rejects song The Wind Blows and I stumbled upon this fierce photo of a Japanese geisha (?). It reminded me of myself. The artwork is a deviantart entry although I must apologize for not having the deviantart link since, as I have mentioned, I only found the image through Google. I like how it has "Disney eyes" = big round eyes. I like how it is wearing a traditional Japanese kimono. I like how the background is melodramatic and psychotic yet very feminine and delicate. It's such a interesting "self-portrait" and I can't think of any better chance for me to have seen it and to blog about it than now--now because now I am trying to brave. 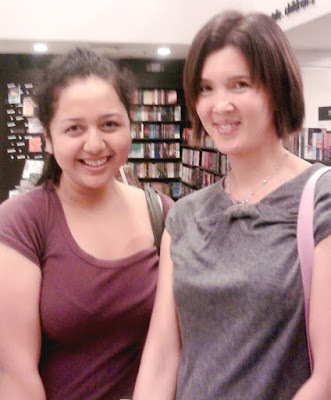 Speaking of brave, may I just share a rather candid "fangirl" shot with one of my superwoman idols Senator Pia Cayetano. I got to interview Ms. Pia Cayetano for a friend's thesis which dealt with women's issues and the situation of women in the light of the reproductive health bill buzz. I was just looking for a nice lesbian novel to read when suddenly this tall woman placed her splendor upon me. I hate to admit it but I was a bit tongue-tied at first. I couldn't believe that right in front of me is this amazon (OK I just had to use that word because she was wearing gladiator sandals haha), this strong woman, who have inspired me to continue to strive and fight for, well, women, by fighting for myself. Seeing Sen. Pia at Fully Booked Bonifacio High Street was such an unexpected event. It came in such great timing. It's the 2010 Presidential elections in the Philippines tom (or today/later since it's almost two in the morning now). I'm definitely supporting Ms. Pia's race. 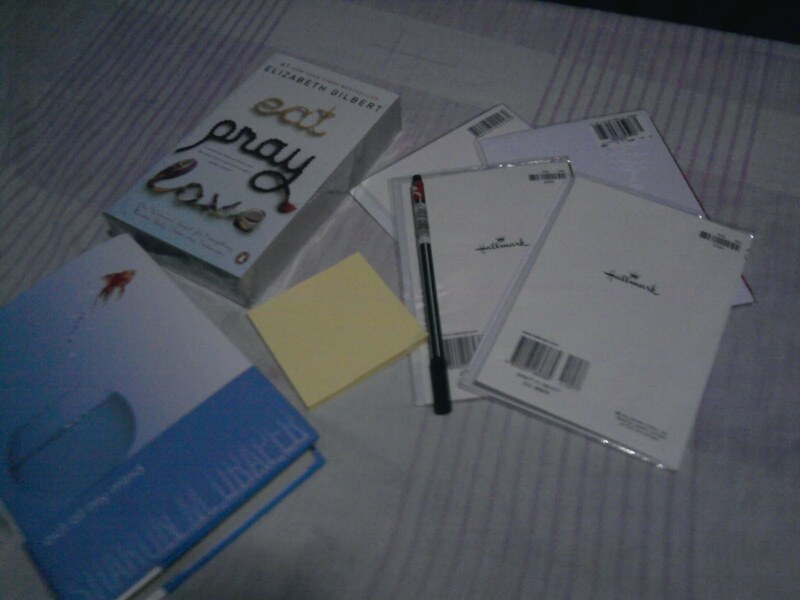 I also saw Ms. Denise-Go-Ochoa and of course Dominic Ochoa book-shopping. I was happy to see Ms. Denise especially because working with her was such a pleasant experience. She is an amazing make-up artist and hair stylist, my words would not compare to what she can do. But what I loved most about working with Ms. Denise is her sweet and humble nature that although in the industry one can easily say she is among the industry top-billed stylists, she carries herself amiably--without forgetting her unquestionable professionalism. Anyway, so after drowning myself to the sweet coldness of Pancake House' new dessert offering, frozen yogurt (!) 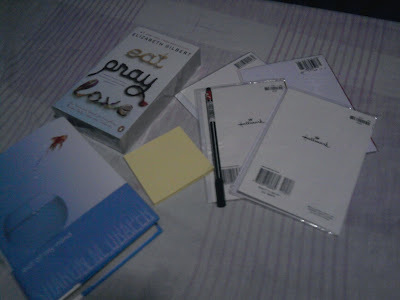 I went to Fully Booked and bought books to match the hallmark cards I bought from National Book Store earlier that day. I'm excited to be a go-getter on Summer's last hurrah. I'm thinking if the country has the presidential election as it's turning point, who said ordinary people can't set turning points for themselves as well? I saw the Cinemalaya blockbuster, 100, and the inspiration is overwhelming. 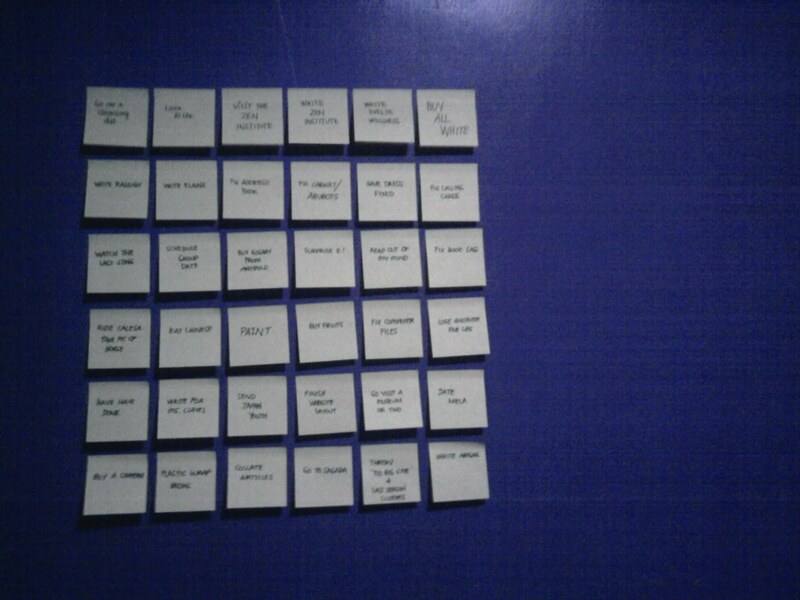 Below is my version of the post-it wall. 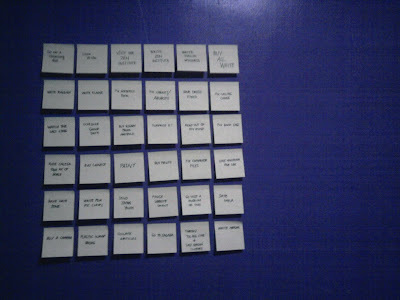 I'm excited to remove post-its... as well as to add new ones of course! Wish me luck! I remember from Neil Gaiman's novel Stardust, there's this whatyamacallit candle that you can use to bring yourself home--wherever you consider your home to be. Right now, as I've mentioned previously, I'm down to reorganizing and refocusing my life. I feel like I'm on my way to lighting my special candle so I'd be where I should be--home. Now there's only one thing I need to know... do you have a lighter? TO ALL THOSE WONDERING. YES, THE GROUP DATE IS AMONG THOSE PRETTY YELLOW POST-ITS.